Low-dose CT lung cancer screenings have been proven to save lives, expand CT exam volume and boost department revenue. To build and sustain a successful LDCT lung cancer screening program, you must streamline your process into a well-oiled screening machine. 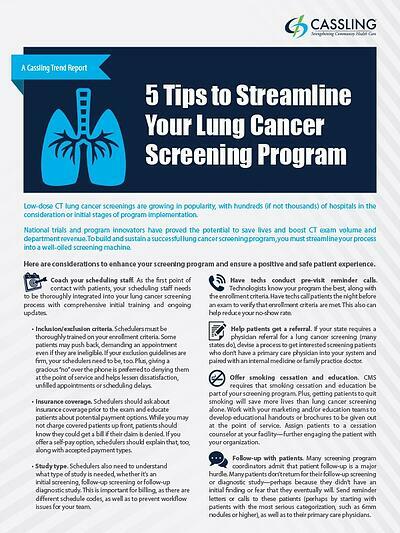 Fill out the form below for five tips to strengthen your screening program.